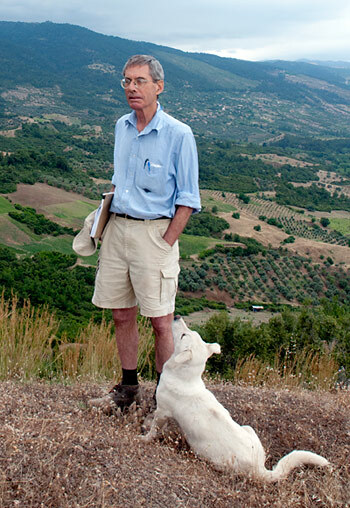 Crawford Hallock Greenewalt, Jr., emeritus professor of classical archaeology at the University of California, Berkeley, and a leading participant for more than 50 years in the Archaeological Exploration of Sardis in Turkey, died on May 4 at the age of 74. He passed away in Delaware, due to complications from a brain tumor just over a week after receiving the American Archaeological Institute’s esteemed Bandelier Award for Public Service to Archaeology for his personal and scholarly achievements in the field. Crawford H. Greenewalt, Jr. Image courtesy of The Archaeological Exploration of Sardis/Harvard University. Greenewalt, or “Greenie” as he was known by friends and colleagues, was an expert on Lydian culture and published extensively on the site of Sardis, an ancient city that was the capital of the Lydian Empire and home of King Croesus, famous for his legendary wealth; and later, a capital city under Persian, Roman, and Byzantine rule. He also took part in Turkish excavations at Pitane, Old Smyrna, and Gordion. While still a graduate student, Greenewalt excavated some of Sardis’s most important monuments, including the monumental Lydian walls on the acropolis of Sardis, and investigated the huge burial mound of Karnıyarık Tepe. He made his first real mark in Sardis in 1960 when he rediscovered the long buried Pyramid Tomb. His ongoing archaeological work in the field and in the lab is said to have greatly expanded the understanding of Lydian culture, Lydian and Greek pottery, and the chronology of Lydia as well as of the entire Aegean and eastern Mediterranean world. Greenewalt also supervised the reinstallation of the Sardis galleries in the nearby Archaeological Museum of Manisa, and carried out such gallery projects as a building reconstruction displaying Lydian architectural terra cottas. Greenewalt was born on June 3, 1937, in Wilmington, Del. His interest in ancient civilization, said to have been sparked when he was just eight years old, never waned. He was educated at Tower Hill School in Wilmington, Del., and then at Harvard College, where he was awarded a B.A. in 1959, and the University of Pennsylvania, where he received his Ph.D. in 1966. Greenewalt joined the Sardis Expedition, which is sponsored jointly by the Harvard University Art Museums and Cornell University, as its official photographer in 1959, shortly after graduating from Harvard. He continued with the expedition every summer. He became its field director in 1976, supervising an international staff of archaeologists, art historians, architects, conservators, object illustrators, anthropologists and others as he kept the project’s focus on the Sardis of King Croesus and the Archaic period. At Sardis, he also trained generations of students in archaeological techniques. Greenewalt stepped down in 2007, and Nicholas Cahill, a Berkeley alumnus and professor of art history at the University of Wisconsin-Madison, took the helm. Cahill, one of Greenewalt’s students, recalled his former professor, mentor and friend fondly. “In the classroom, he (was) a model of erudition, bringing both a broad range of learning and a deep understanding of the ancient world,” Cahill said. Crawford H. Greenewalt, Jr. age courtesy of The Archaeological Exploration of Sardis/Harvard University. In 1966, Greenewalt joined the Classics Department at UC Berkeley, where he taught undergraduate and graduate courses in classical archaeology as well as Greek and Roman art, and seminars in subjects including “comparative destruction layers” from such ancient sites as Gordion and Pompeii. He was a pillar of the campus’s Graduate Group in Ancient History and Mediterranean Archaeology (AHMA), and was highly appreciated for his longtime curatorship of Mediterranean archaeology at the campus’s Phoebe A. Hearst Museum of Anthropology. Greenewalt was honored in 1993 with the Henry Allen Moe Prize in Humanities by the American Philosophical Society in recognition of his commitment to the humanities as well as for his paper, “When a Mighty Empire Was Destroyed,” and for his role in reconstructing the history of the people of Lydia. He also was awarded honorific memberships in the German Archaeological Institute and the Austrian Archaeological Institute. 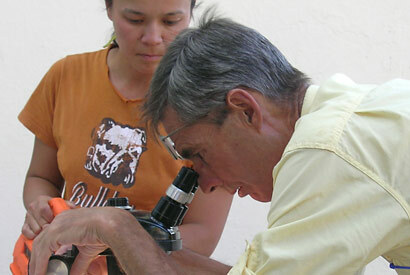 Upon his retirement from UC Berkeley in 2010, Greenewalt received the campus’s highest honor, the Berkeley Citation. Awarding the citation on behalf of Chancellor Robert Birgeneau was Andrew Stewart, chair of AHMA and a UC Berkeley professor of classical Archaeology. Stewart, a longtime Greenewalt colleague, noted his “stunning discoveries, his prizewinning publications, his legendary hospitality, his caring mentorship” and the deep respect he received from those who worked alongside him. “’Greenie’ sets an example of collegiality, dedication, generosity, and integrity that most of us can only try to emulate,” Stewart said. He is survived by his sister, Nancy G. Frederick, of Wilmington, Del. His brother, David Greenewalt, died in 2003. A memorial service will held at 3 p.m. on Saturday, May 19, at Christ Church Christiana Hundred in Wilmington, Del.. There will be a campus memorial for Greenewalt in the fall. In lieu of flowers, contributions can be made to the Archaeological Exploration at Sardis, Harvard Art Museum, 32 Quincy St., Cambridge, MA 02138.